Four articles by Henry Dunn appear in Zion’s Watchtower (Reprints, pp. 644, 649, 653, and 796). All come from Dunn’s book, The Study of the Bible written in 1871. “Bros. George Storrs, Henry Dunn and others were preaching and writing of ‘the times of restitution of all things which God hath spoken by the mouth of all His holy Prophets’ (Acts 3:21) and that ‘In the ages to come, God would show the ­exceeding riches of his grace.’ (Ephesians 2:7)”—Charles Taze Russell, Supplement to Zion’s Watch Tower and Herald of Christ’s Presence, July 1, 1879. For many years Dunn was the secretary of the British and Foreign School Society and was identified with the history of public education in England. After retirement he went to Italy and joined the Protestant missions there, devoting his life to a study of the Scriptures and the writing of Christian literature. He published his own magazine, The Interpreter, in 1860-61 and was said to have been heard to “express his obligation to a remarkable book, never much known and now almost forgotten: Dunbar Isidore Heath’s Future ­Human Kingdom of Christ. It was this book that inspired Dunn’s Destiny of the Human Race that is credited by both George Storrs and Charles Russell as helpful in the thoughts on the doctrines of two sal­vations and times of restitution. Shortly before his death, Dunn wrote a series of articles for Storrs’ magazine, The Bible Examiner. Pastor Russell wrote that on these doctrines both Storrs and Dunn were influential in his thinking. Grew was born in Birmingham, England, but moved to Boston with his parents at the age of fourteen. At the age of twenty-three he was elected deacon of the Baptist Church he attended, and was later ­licensed to preach in Hartford, Connecticut, where he served over a decade until he was dismissed for views the church deemed heretical. He not only preached against slavery, but, from the Bible alone, Henry Grew determined that the doctrines of the immortal soul, hell-fire, and trinity were not scriptural. He wrote several books against the doctrines, one of which was picked up by George Storrs, who was later convinced of Grew’s views regarding the state of the dead. 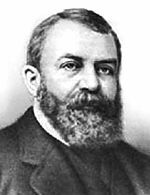 Grew’s clear scriptural exposition and ideas later influenced the Adventists and other ­individuals, directly to such as George Stetson and George Storrs, and indirectly through these to Pastor Charles Taze Russell. Although he had only a moderate income, he was able to bestow half his income in charity. He gave a considerable amount to missionary work as well as to the poor of the city. He not only cared for their well being, but also for their spiritual welfare. Dunbar Isidore Heath was a Reverend at Cambridge, elected scholar in 1836, and again in 1843. As a recognized authority on Egyptology, he was one of the early translators of the papyri in the British Museum. In 1852 Heath wrote The Future Human Kingdom of Christ in which he distinguished the “saved nations from the glorified saints” by outlining an early concept of “the two salvations.” He was prosecuted for heresy in 1861 by the Bishop of Winchester and sentenced by the Court of Arches for publishing these ideas. He would not recant and tried to appeal his sentence by attempting to defend his character and doctrine from the Scriptures through the writing of several booklets. All of this failed and as a result of this prosecution he suffered not only the loss of his profession, but sustained heavy financial losses as well. Speaking of Dwight Moody and his associates, Pastor Russell wrote: “It is our thought that the Lord used these men, and through their ministry the fore-ordained number was completed at the fore-ordained time, 1881” (Reprints, p. 4303). Moody was born seventeen years before Pastor Rus­sell. He was one of the most successful evangelists of the nineteenth century. His ministry ­dif­fered somewhat from those of his contemporaries in that he laid stress on a full commitment to God rather than merely the “believe and be saved” formula of his peers. He urged his hearers to find a way to leave their earthly careers and spend their full time in service to God. Moody was never endorsed by a seminary, ­dis­daining such ordination as a qualification for the ministry of the gospel. Though an aggressive fund-raiser, Moody refused to be personally ­financed by members of his audiences. Influenced by a strong personal friendship with the Jewish Christian ­Joseph Rabino­witz, Moody was vitally interested in the development of ­Israel as a nation headed for a great destiny in the plan of God. Isaac Newton (1642-1727) was born in Lincolnshire on Christmas day nearly two months premature, and posthumous to his father. In the superstition of the day, all three of these circumstances of his birth were ­considered to portend a child of exceptional abilities, and so he was to prove. He was born in the last year a witch was publicly burned at the stake in England. When he went to his grave at age 85, he was and still is ­remembered as one of the greatest scientists of all time. But the advocates of rational thought were inventing a fiction, for first and foremost Newton was a man of faith. This community has long ignored or belittled Newton’s strong commitment to Christianity and earnest non-conforming Bible study. Although it is easy to take exception with a number of the details in his interpretations, his keenness of mind permitted him to see truths that we might believe were little-known until the time of the harvest. Nearly one million words, mostly unpublished even today, range over biblical prophecy, the Times of Restitution, translation and manuscript errors, chronology, the measurements of Ezekiel’s temple compared against the New Jerusalem, and the Great Pyramid and its measurements as a witness, to name but a few. Newton’s public anti-Trinitarian positions and writings continually created difficulties for his patrons. These kept him out of the Royal society and required special royal dispensation for him to hold a post as professor, ironically enough, at Trinity College, Cambridge. Most significantly, he is responsible for the scholarship that challenged the spurious acceptance of 1 John 5:7 into the Greek New Testament. Although he published several seminal scientific works within his lifetime, when Newton died unmarried, the executors of his estate largely found his religious writings to be an embarrassment. They kept all but four ­sequestered where they remained unread until the twentieth century. * This synopsis is based on the highly recommended The Religion of Isaac Newton by Frank E. Manuel, ­Oxford (1974). See also H. MacLachlen, Isaac Newton (1950). The first Stetsons from England arrived in 1634, fourteen years after the Mayflower and the Pilgrims landing in America. For over forty years George Stetson followed in the footsteps of Christ and associated with Henry Grew and George Storrs in his early ministry, and even later with Jonas Wendell and Charles Russell (Reprints, p. 3821). He was not only a minister, but also a school teacher, and physician. As a member of the Advent Christian Church he and Wendell worked together in several churches throughout Pennsylvania and Ohio in the early 1870s. They also wrote for George Storrs’ magazine The Herald of Life and the Coming Kingdom, and for other magazines such as The World’s Crisis. For ten months during 1872 Stetson pastored the church in Pittsburgh where he met a young Charles Taze Russell. 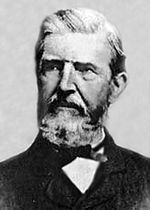 Then he led the Edinboro, Pennsylvania, congregation for six years until his death. His dying request was that Pastor ­Russell give his ­funeral sermon (Reprints, p. 46) where over twelve hundred ­attended and heard the good news of the kingdom of God. While traveling on a train, George Storrs picked up a tract he found on the floor which was about the condition of the dead. He found out later that it was writ ten by Henry Grew. In 1842 after a few years of study on this subject, Storrs began to preach this message to many of the Adventists. After writing a book on the subject, he started a magazine, entitled The Bible Examiner, for the same purpose. He differed from Grew’s teachings in respect to the des tiny of the wicked. Storrs believed these would go into second death and not be resurrected to judgment. The two debated the matter until Henry Grew’s death in 1862. 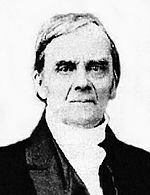 A decade later, during a severe illness, Storrs reconsidered his views on the wicked, and determined that the Scriptures taught that the wicked would be resurrected to an education in the knowledge of God, to judgment, and that all the families of the earth would be blessed because of the promise to Abraham. He was later surprised to find other individuals teaching these same doctrines, one of whom was Henry Dunn, who a decade earlier had been teaching these things in Eng land. Because of these views, his friends forsook him and Storrs be came an independent publisher of these teachings. During these years Pastor Russell wrote for Storrs’ magazine until Storrs’ death in 1879. 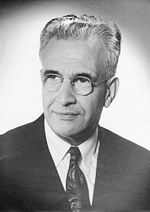 R. E. Streeter was one of the founding fathers of the Pastoral Bible Institute and an original member of the editorial board of The Herald magazine. 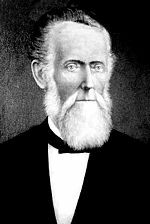 He became a Christian in 1877 and originally associated with the Free Baptist church. Finding denominational restrictions too binding, he left that fellowship and joined the Evangelical Advent church. He first received The Divine Plan of the Ages in 1896 but rejected it as a false teaching. The following year he was sent on a successful missionary assignment to South America and the West Indies where he received another copy of that book and read it on his return journey. This time he accepted its message. As editor beginning in 1892 of a small journal, The Testimony of Jesus, he continued its publication and presented to his readers the new views he was learning. Eventually he discontinued the magazine and in 1902 entered the pilgrim ministry under Pastor Charles Taze Russell. He was a member of The Herald’s editorial committee beginning in 1918 and was elected a trustee of the Pastoral Bible Institute in 1923, serving in that capacity until his death the following year. He was a deep student of prophecy and was the author of Daniel, the Beloved of ­Jehovah and The Revelation of Jesus Christ. W. Norman Woodworth devoted his life to his convictions. After he served for several years as a colporteur in the maritime provinces of Canada and the state of Maine, Pastor Russell asked him to come to Bethel to learn to operate a movie ­projector and assist in the ­developmental work of The Photo Drama of Creation. He presented the Drama in several Ohio cities, then in Chicago where his first day’s audience was 1,500 in the afternoon and 3,500 in the evening. 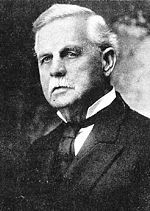 He remained with the Society after the death of Pastor Russell until 1928 when he left because of a serious disagreement with Rutherford. He helped revive a radio program called “Frank and Ernest” and wrote a small pamphlet, Radio ­Echoes to send to interested listeners. This eventually became The Dawn magazine. Bro. Woodworth remained the editor of that journal and wrote many of its articles until his death in 1976.